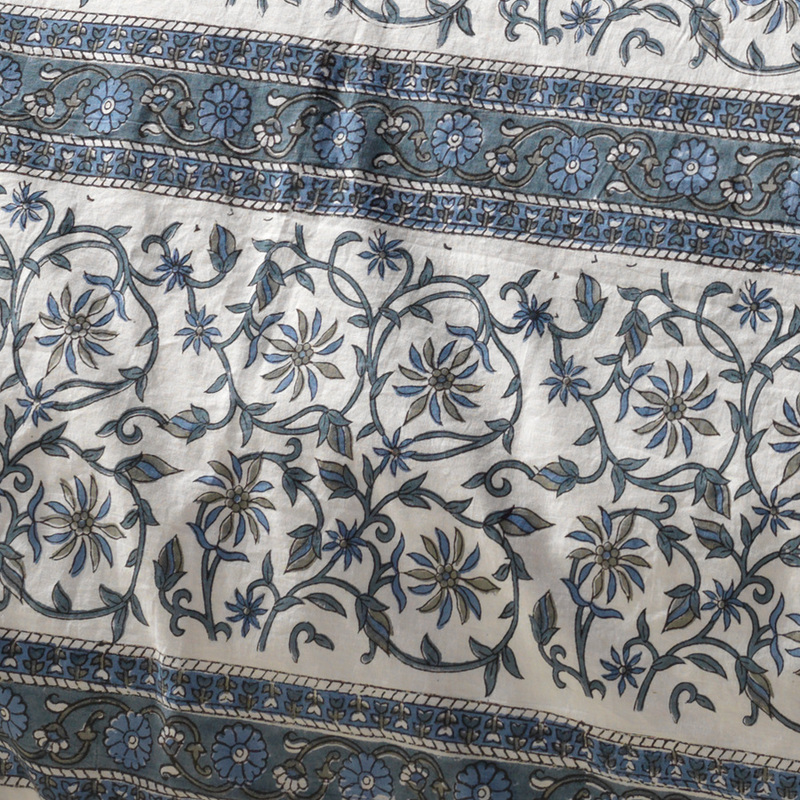 A hand block printed king size duvet cover set made by fair trade producers in India, featuring a gorgeous blue floral pattern on a white background along with a bold border around each edge. 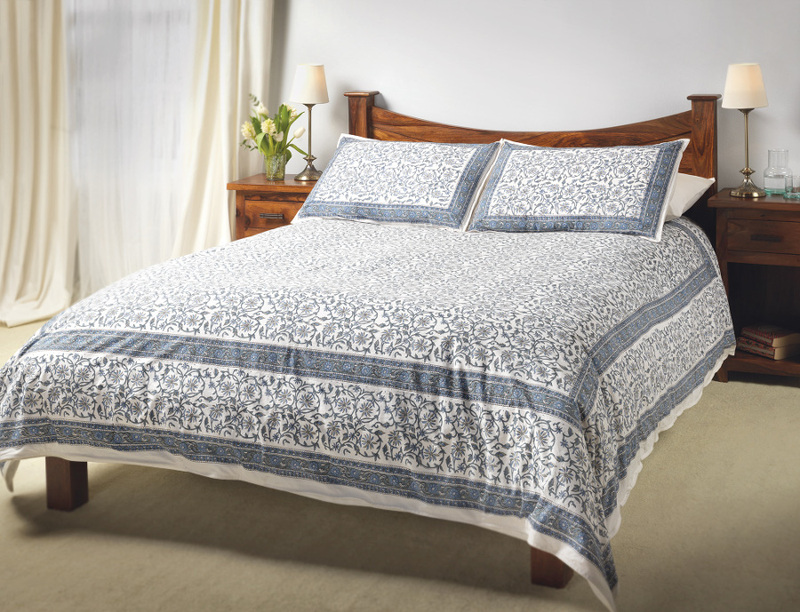 Made with 40s Indian cotton, the duvet set is beautifully soft to ensure a comfortable night’s sleep. 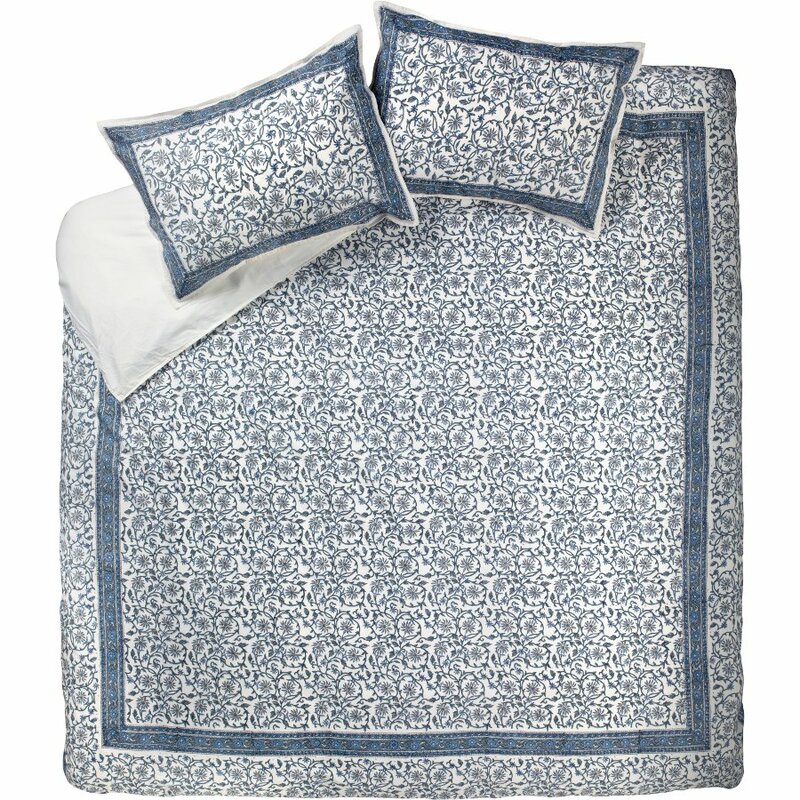 The Blue Jasmine Duvet Cover Set - King Size product ethics are indicated below. To learn more about these product ethics and to see related products, follow the links below. This is absolutely beautiful. I wanted it a couple of years ago but didn't really need it so I was delighted to see it available again and treated myself. 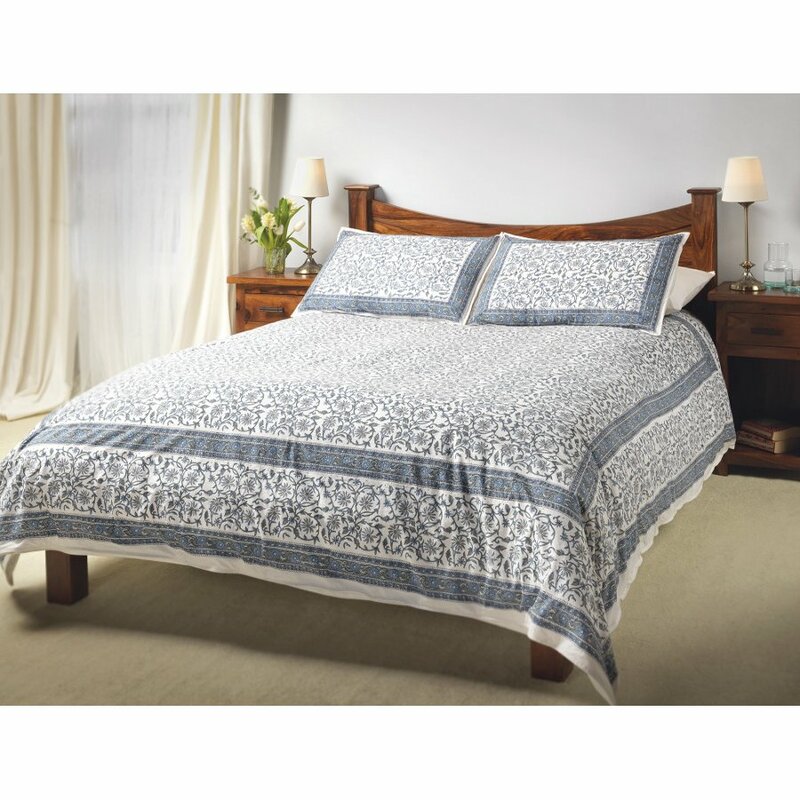 Even my husband (not really prone to commenting on household stuff) loves it and now has a favourite duvet cover!! It is beautiful quality, really pretty and so cool and lovely on the skin. 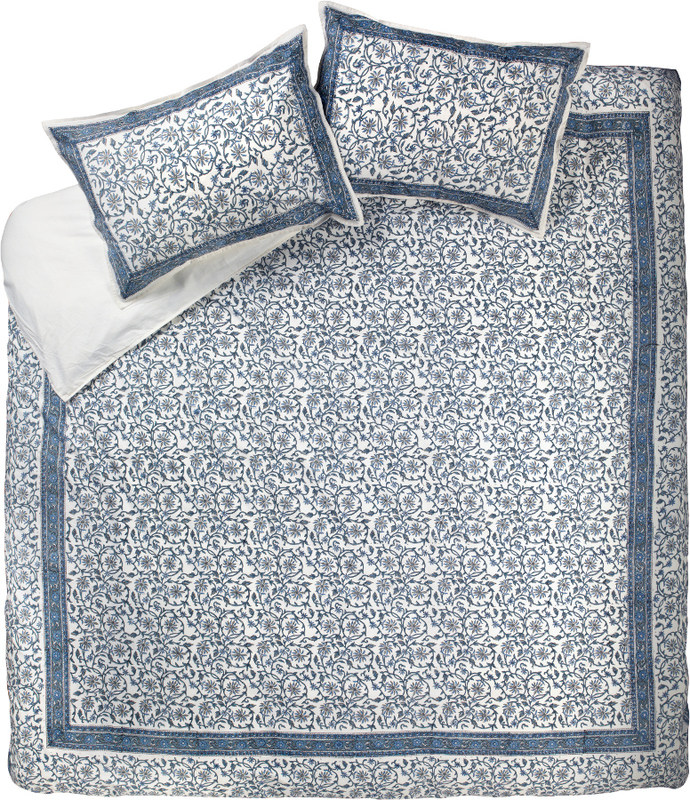 Q: How hot can this duvet cover set be washed at?rnrnWould be good to have washing instructions on items, showing the hottest wash.